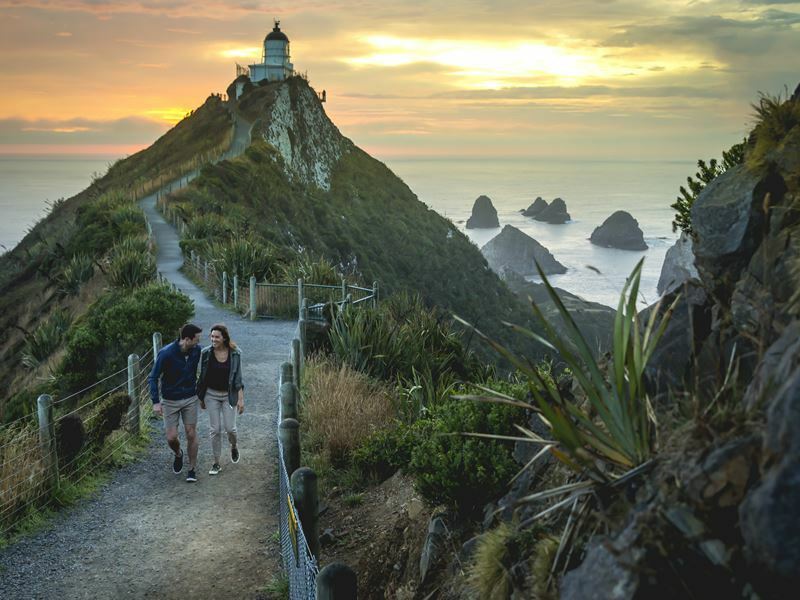 New Zealand is a bucket-list holiday destination for many photographers, especially those with a passion for capturing picturesque landscapes. Remote and sparsely populated, its identity carved by volcanic activity and renowned for the exquisite beauty of its lakes and mountains, New Zealand through a lens is nothing short of awe-inspiring. From pristine sandy beaches to snaking fjords and snow-capped Alpine peaks, inspiration is never far away. Our guide to the top 10 most photogenic wonders in New Zealand ensures you never fail to get the shot. This idyllic Pacific island nation is perfect for getting out and about in nature, with seemingly endless trails available, often beginning just a short distance from urban areas. Single or multi-day hikes out into the wilderness can be found for any fitness level. The sublime Milford Track in New Zealand’s far-southern Fjordland is the most famous in the country, and paradoxically best experienced in the rain, when torrents of water cascade dramatically down the cliffs. 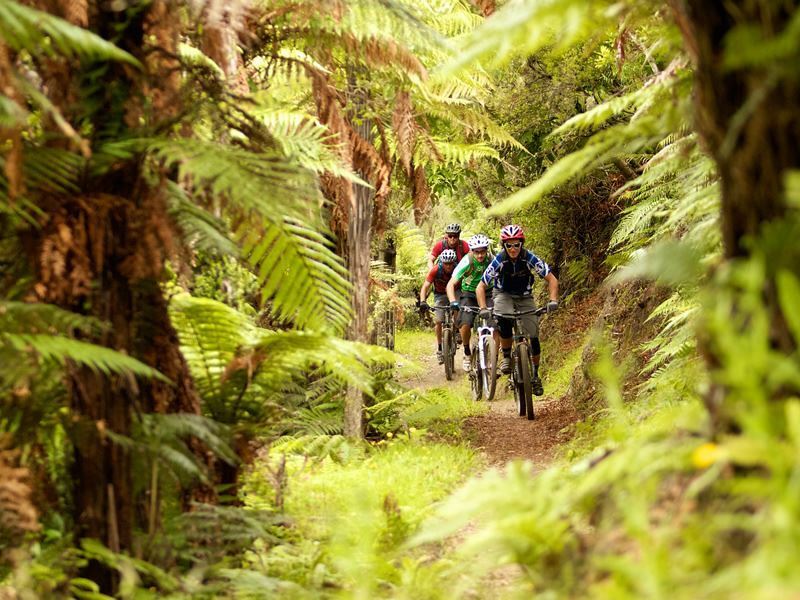 For mountain-bikers, one highly regarded route is ‘The Nose’ in Te Mata Park, which runs from the peak all the way down to Te Hau valley through some seriously sensational scenery. If you have an image you’re especially proud about, note that the park management are keen for mountain biking photographers to send in their best shots to help promote the region. Get the shot: Kawakawa Bay Track. This tranquil bay forms perhaps the most attractive section of the Great Lake Trail. Running from Kinloch to Kawakawa Bay, the route takes around three hours to bike and six hours to walk. You’ll pass through native bush, wetlands and deep ravines, with waterfalls and many species of birdlife to snare in your viewfinder. Reward yourself afterwards with a refreshing dip in beautiful Lake Taupo. 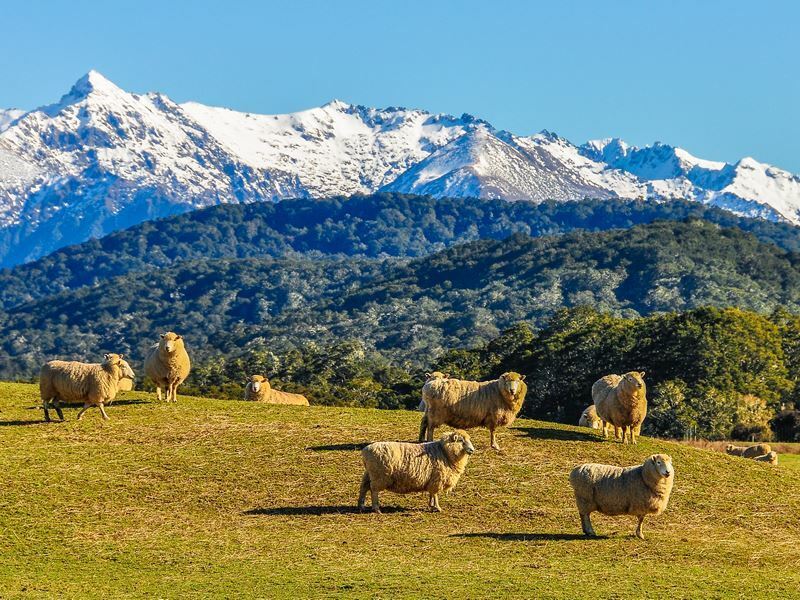 Lamb and wine are two of New Zealand’s biggest exports, and driving around the country you’re never far from either a sheep farm or a vineyard. The wine regions run for around 1000 miles, from subtropical Northland to the southernmost vineyards of Central Otago. If you want to take a vineyard tour, with plenty of scope for tasting sessions and photo opportunities, then Marlborough is an excellent place to start. The Sauvignon Blanc from here brought New Zealand wines international attention, and it is by far the largest wine region in the country with a vast range of grapes varieties from Chardonnay to Pinot Noir. Hawkes Bay, where missionaries were the first to sow vines, is another well-regarded wine tourism destination with a full roster of cultural events including local food and wine festivals. Get the shot: While all of New Zealand’s wine regions are wonderfully picturesque, arguably the finest agricultural landscapes are to be found on the South Island, so consider exploring the vineyards of Waipara or the Waitaki Valley. Sunset is an especially good time of day to be among the vines. In New Zealand it can often feel as though the colours of nature have been dialled up a notch or two, and this is at its most obvious during sunrises and sunsets. In fact, there are so many incredible vantage points available throughout both the main islands that you can sometimes enjoy a stunning view with seemingly no-one else for miles around. Fortune favours those who rise early here, and it’s worth setting the alarm to try and catch Lake Rotorua coming alive with a sheen of gold. 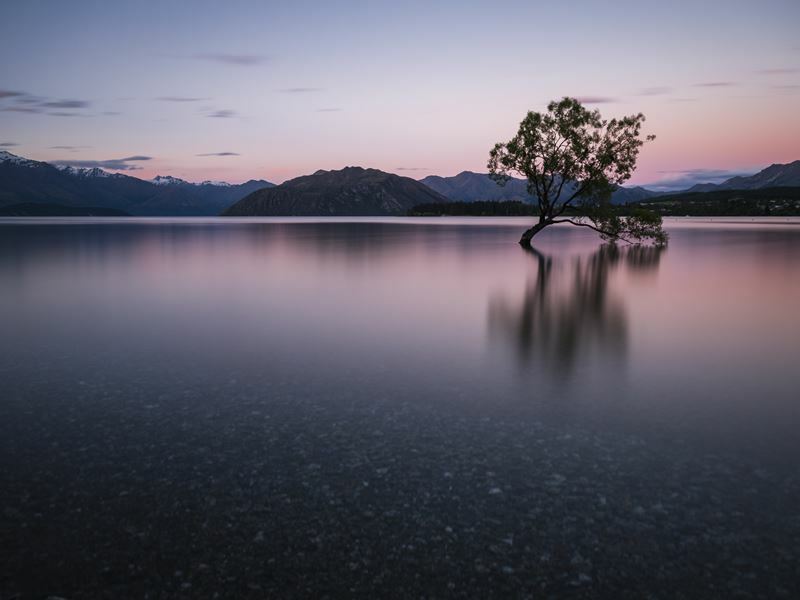 The Lone Tree of Lake Wanaka is another iconic shot that is at its best when framed against a fiery backdrop. 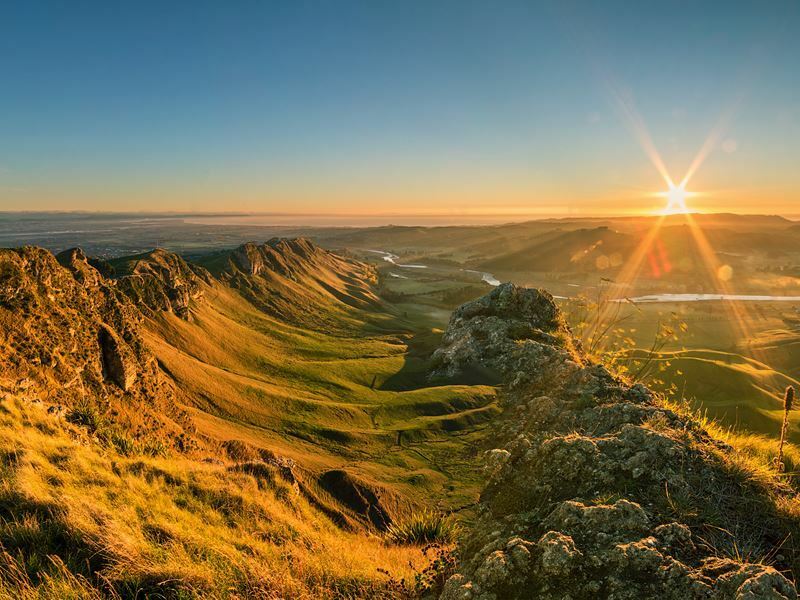 Get the shot: Te Mata Peak, Napier. Known as ‘The Giant Among Us’, the mountain stands almost 400m high and affords spectacular 360-degree panoramas of Hawke’s Bay. With a little exertion you can easily get to the summit in time for sunrise. Coming down again, don’t neglect to explore Napier itself. The town is a first-rate spot for photographers with an interest in architecture, on account of its distinctive Art Deco architecture. New Zealand is famed for its waterfalls, which during the winter months are particularly resplendent. They can be seen from the roadside, on beaches, or creating a breathtaking feature on mountain treks. The Devil’s Punchbowl Falls of Arthur’s Pass National Park is thought to be the largest in the country, tumbling down from over 130 metres. In Tongariro National Park, an attractive walk through beech forest brings you to the epic Taranaki Falls, crashing down over a craggy rock face. Get the shot: Karekare Falls, Auckland. 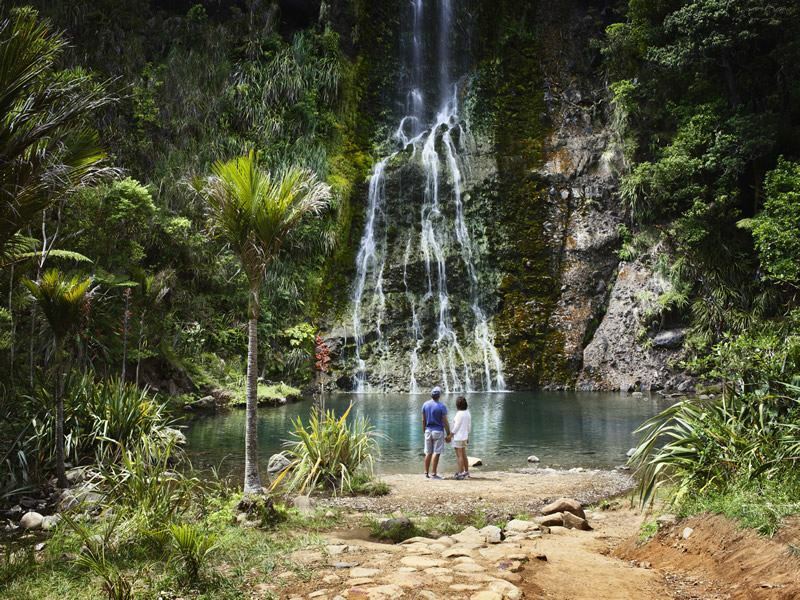 An hour’s drive from the capital brings you to this magnificent waterfall in Waitakere National Park. You can climb to the summit for a view over the edge, or take a swim in the waters beneath. Nearby, the village of Karekare was a filming location for Jane Campion’s ‘The Piano’, which was one of the most successful films shot in New Zealand until you-know-what. Some of New Zealand’s most stirring photographic opportunities are to be had along its almost 9,000-mile coastline. On the North Island you can roam plenty of isolated sandy beaches leading to clear blue water, such as in the Bay of Islands, while in the southern reaches of the Fjordland expect to encounter much wilder and more rugged scenery. Abel Tasman National Park at the northern tip of the South Island is a blissful spot on which to train your camera, and if you’re lucky you may get a great shot of the marine life here, which includes dolphin, seal and cute little blue penguins. Get the shot: Nugget Point, Catlins. Best captured from the viewing platform of the 19th century lighthouse, the nuggets in question are a number of rocks immersed in the sea and dramatically dashed by the waves. The best time to point and click here is between December and February, when elephant seals can be seen perching precariously on the rocks. New Zealand is known as the home of extreme sports, and they don’t get much wilder than jetboating. Invented by a Canterbury farmer who wanted a special type of boat that could navigate the shallow rivers thereabouts, the jetboat quickly caught on as a water-based thrill ride and is now a top bucket-list activity in many parts of New Zealand. These immensely powerful crafts, piloted by well-trained professionals, spin in tight circles sending sprays of water over passengers, blast through narrow canyons and come within touching distance of the rocks for a truly exhilarating experience. Some of the most popular places to try jetboating in New Zealand include Rotorua, where you are immersed in the geothermal scenery, and the Waikato River near Taupo that brings you up close and personal with the foaming Huka Falls. 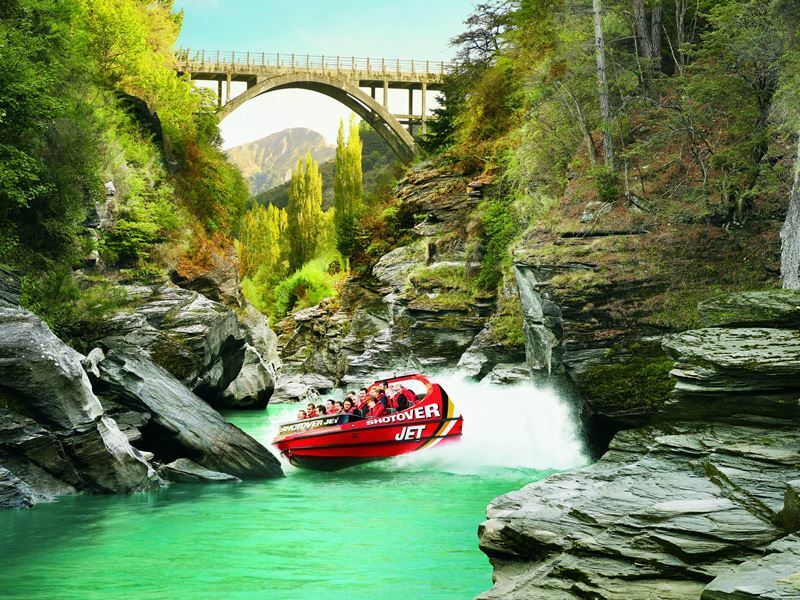 Get the shot: Queenstown on the South Island is the main base for extreme sports in New Zealand, and the Shotover Jet has entertained adrenaline-seeking visitors here for years, including many celebrities. The boats reach speeds of over 50mph along the fast-flowing Shotover River, so this is a must for anyone with a GoPro. If you prefer more sedate pursuits, there are many good places along the river where you can get a shot of the boats thrashing around. One of the great joys of New Zealand is that because population numbers are so low, there is minimal light pollution, allowing for superb views of the night sky. Stargazers should definitely make for the Aoraki Mackenzie International Dark Sky Reserve on the South Island. There are only eight such reserves on the planet, and this is the only one in the southern hemisphere. The hefty telescopes of the Mount John Observatory here will open up brilliant constellations and galaxies, while you can also take either self-guided or organised stargazing expeditions in this region. Get the shot: The mysterious beauties of the universe can be seen in their full glory at Castlepoint in the Wairarapa region, a rugged coastal location where you can also often see dolphins and whales. Since stars have historically been so vital to navigation, it’s fitting that Castlepoint was named by Captain Cook, the first explorer to circumnavigate New Zealand. Peter Jackson spent his formative years running around rural Wellington with his friends, shooting films punctuated with lurid special effects and quintessential Kiwi humour. He went on to become one of the world’s most famous directors, shooting J.R.R. Tolkien’s epic fantasies almost entirely in his native New Zealand. You can roam many of Jackson’s scenic shooting locations, such as Earnslaw Burn, a glacier near Queenstown used in ‘The Hobbit: An Unexpected Journey’ and Kaitoke Regional Park outside Wellington, which doubled as the Elven Rivendell. If you hike the Tongariro Crossing near Taupo, you can also see Mount Ngauruhoe, also known as Mount Doom. 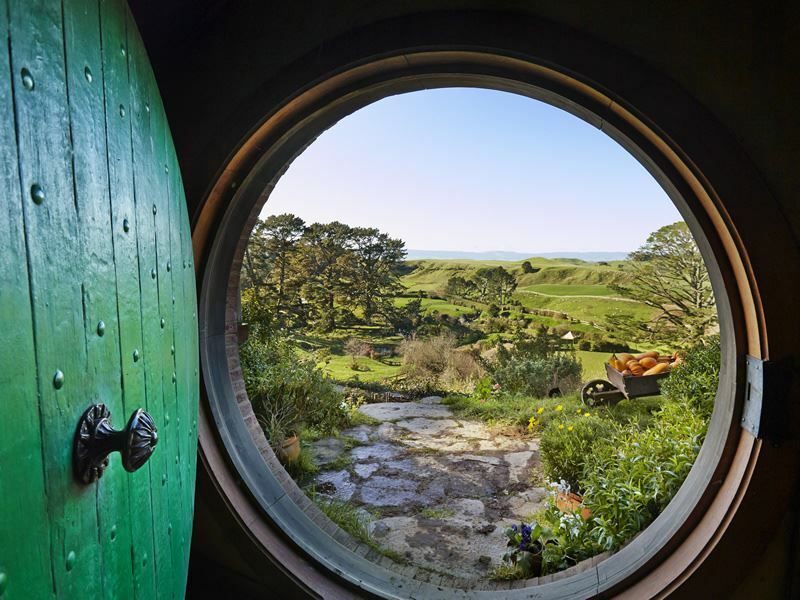 Get the shot: For Tolkien and Jackson-buffs, a visit to Hobbiton is unmissable. Jackson knew instinctively that the dairy-farming fields around Matamata in the Waikato region would be a perfect fit for the Shire, and the sets were recreated for the later Hobbit trilogy. They are now a permanent fixture of the landscape, making a fab opportunity for some memorable New Zealand photography. Why keep two feet on the ground in New Zealand, when it’s so easy to get a bird’s eye view? There are no shortage of aerial adventures to be had here, even if you don’t fancy tying one end of a bungee cord around your ankles! Scenic sightseeing flights above the Milford Sound, crystalline glaciers and glistening turquoise lakes will provide plenty of chances to snap a fantastic photograph, with pilots knowledgeable about helping you find the perfect angle. You might also try the SkyWalk in Auckland, to catch some unforgettable cityscape shots. 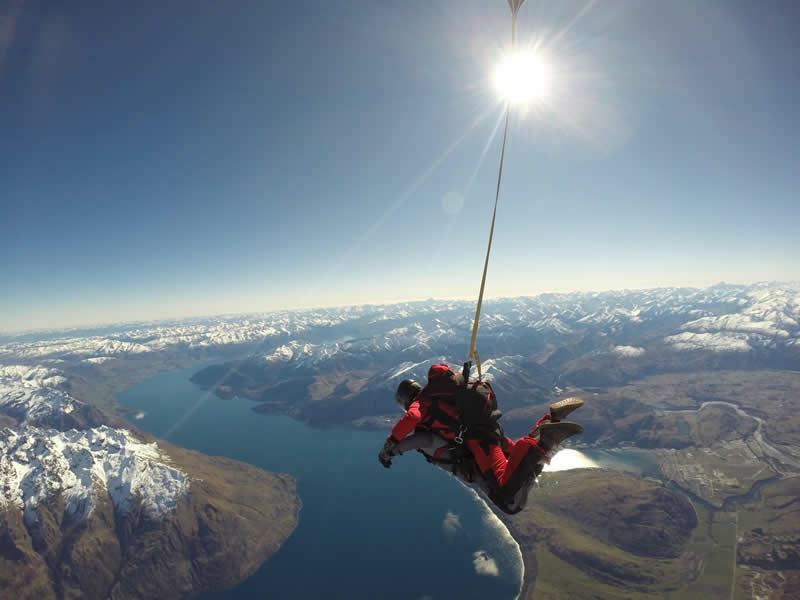 Get the shot: Become a human zoom lens when you take a spine-tingling skydive above Lake Wakatipu in Queenstown. The snow-capped peaks that circle this adventure sports paradise are a real show-stopper, and will more than take your mind off the plummet. You can attach your own camera to capture the views or splash out and hire a photographer to jump alongside you. 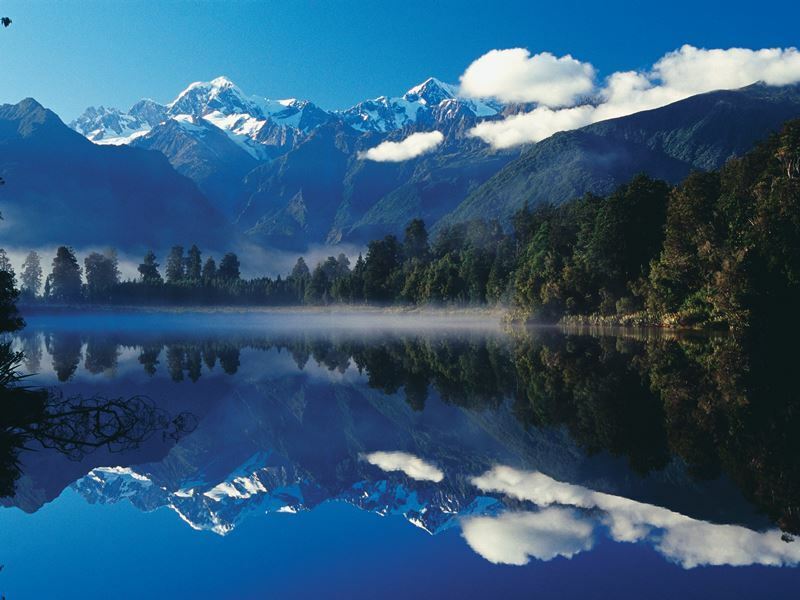 The landscape of New Zealand is liberally scattered with crystal-clear lakes and snow-tipped mountain peaks. Capture a sunset over the vast Lake Taupo, wander through the mesmerising volcanic terrain around the Emerald Lakes in Tongariro National Park, past steaming fissures and boiling-hot geysers, or admire the reflected forest scenery of the Mirror Lakes in the Milford Sound. Sir Edmund Hillary, who would go on to conquer Mount Everest, cut his teeth on the mountains of his homeland. It’s not hard for any photographer to understand his fascination around Mount Cook, the highest peak in the country, or Mount Ruapehu in Taupo. In such a bewitching, almost primordial setting, don’t be surprised to find your camera is rarely out of your hands. Get the shot: One of the most quintessential images in New Zealand is that of Mount Cook and Mount Tasman imprinted on the waters of Lake Matheson. Formed by the retreating Fox Glacier, the lake is dark on its surface, so that on calm days it is superbly reflective, and capturing your perfect shot is a breeze. Whether you’re hiking mountain trails, taking the plunge from a plane, exploring waterways by boat or simply cruising the empty highways by campervan, there are a million-and-one photogenic wonders in New Zealand waiting to be discovered. We don’t presume to tell you how to frame a shot, but if we were going to give you just one piece of advice, it would be to always keep your camera charged and at the ready. After all, you never know what’s around the next bend.